Aroma Tourist Hostel welcomes you by offering hospitality services par excellence. Aroma invites you to experience the spectacular beauty of Pokhara, the gateway to Annapurna circuit, and many other wonderful authentic Nepali experiences and activities. Aroma Hostel, run by a family, is situated a short walk away from Lakeside. 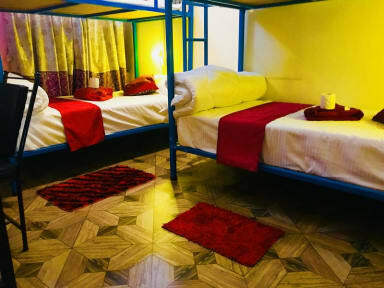 Staying at Aroma Tourist Hostel is a golden opportunity for you to explore Nepali culture, typical Nepali food and feels like you are at a home away from home. Aroma has plenty of common areas to chill out along with a rooftop with amazing view. Many services are provided, including access to ultra-light flight, zip-lining, bungee jumping, rafting, mountain flight, sunrise/sunset tour, trekking and paragliding.